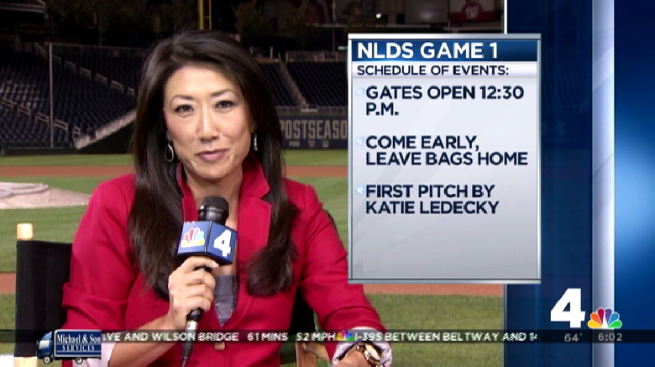 The Washington Nationals' journey towards the World Series begins Friday at Nationals Park against the plucky San Francisco Giants. Below is a preview of the best-of-five series. The winner will face either the St. Louis Cardinals or Los Angeles Dodgers in the NLCS. The Giants were merely average in the second half of the season with a 41-40 record, but as the winners of two of the past four World Series, they cannot be underestimated. San Francisco's offense is buoyed by catcher and former NL MVP Buster Posey, who led the team in home runs (22) and RBIs (89), and whose .354 batting average was the highest in the majors after the All-Star break. Slugger Pablo Sandoval, Hunter Pence and Brandon Crawford (who hit a grand slam in the Giants' wild-card victory against the Pirates) are capable of contributing effective offense. While the Nationals certainly boast the edge in starting pitching, the Giants' rotation is formidable. Ace Madison Bumgarner will not start until Game 3, but veterans Jake Peavy and Tim Hudson are solid options to open the series. Where the Giants have the significant advantage is in experience. Manager Bruce Bochy, in his 20th season, is 8-1 in postseason series, with two World Series titles and three NL pennants. Meanwhile, Matt Williams is about to experience his first taste of managerial postseason baseball. Bochy has an uncanny ability to make the right tactical decisions in high-pressure situations, of which the Nationals will need to be cognizant. To that end, the Giants are postseason survivors. After their victory against the Pirates on Wednesday to advance to the NLDS, they've won seven straight playoff games when facing elimination. It matches the Kansas City Royals' active streak for the longest of all-time, according to Elias Sports Bureau.